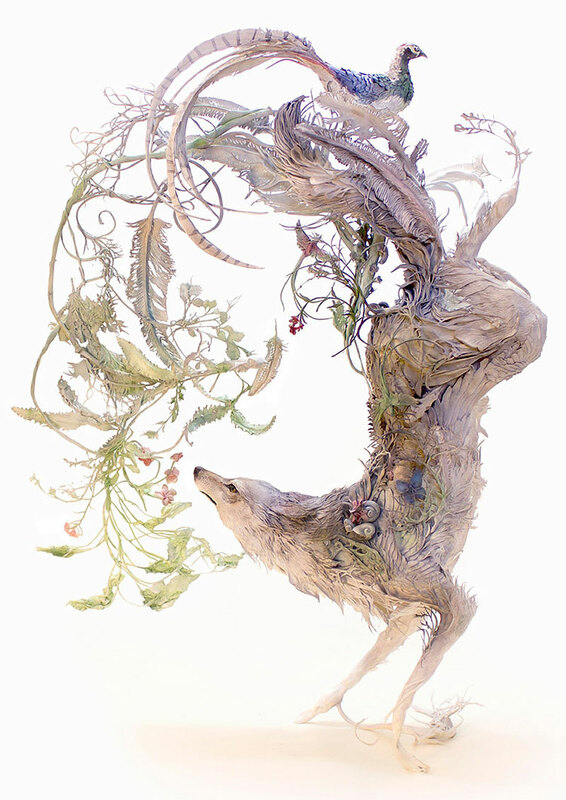 Surreal clay sculptures of animals merging with plants by Canadian artist Ellen Jewett. 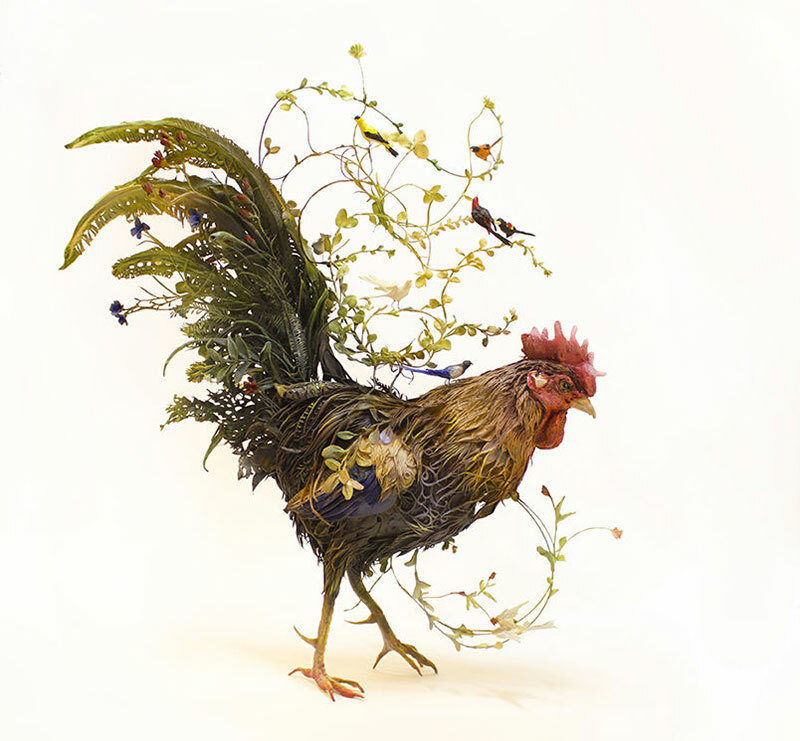 The creatures are unique and personable and she describes them as "derived from animal physiology and a love of the fantastic, grotesque and absurd." 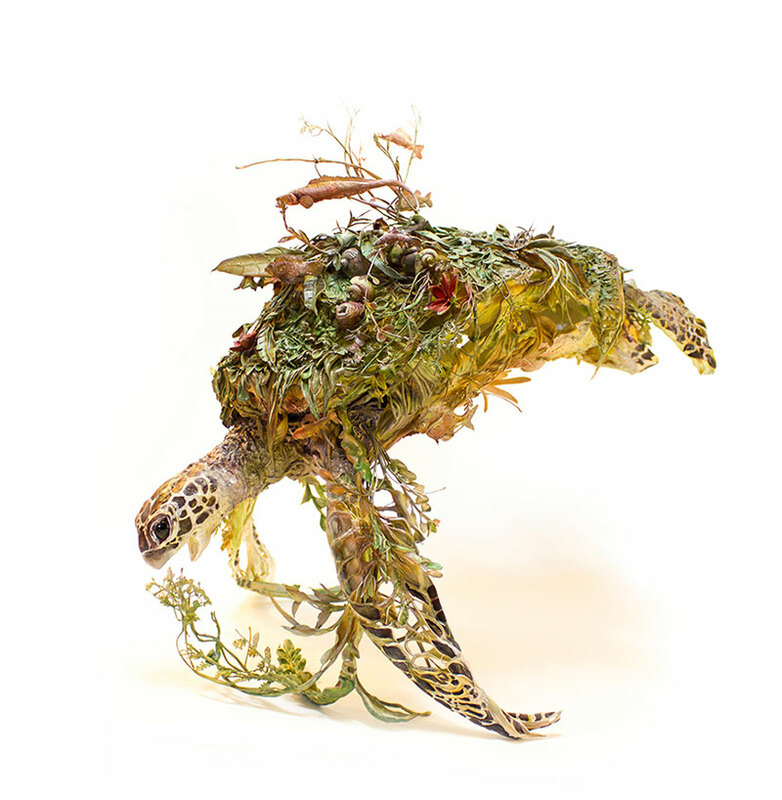 Each sculpture is constructed using an additive technique with tiny components consisting of microcosmic representations of plants, animals and objects layered from inside out. 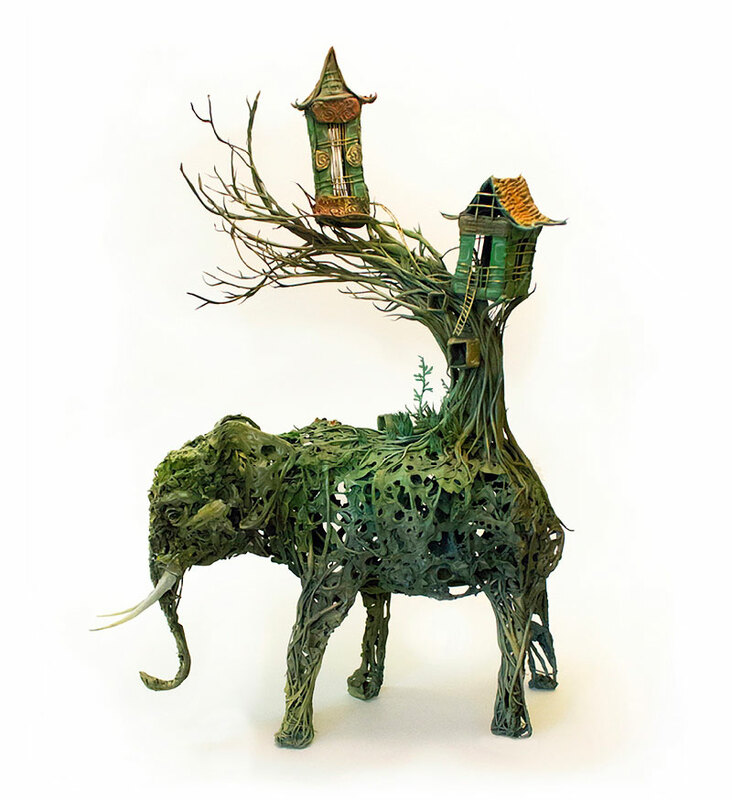 These layered components infuse each sculpture with multiple narratives and she states that "within this ethereal menagerie, anthrozoology meets psychoanalysis as themes of natural beauty, curiosity, colonialism, domestication, death, growth, visibility and wildness are explored." 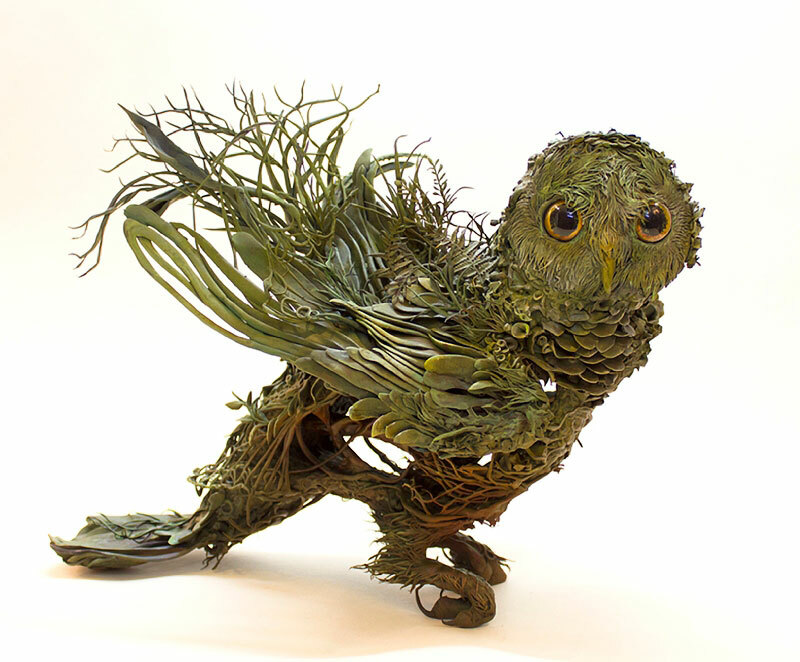 Each sculpture is handmade and painted with no more tools than fingers and a paint brush. 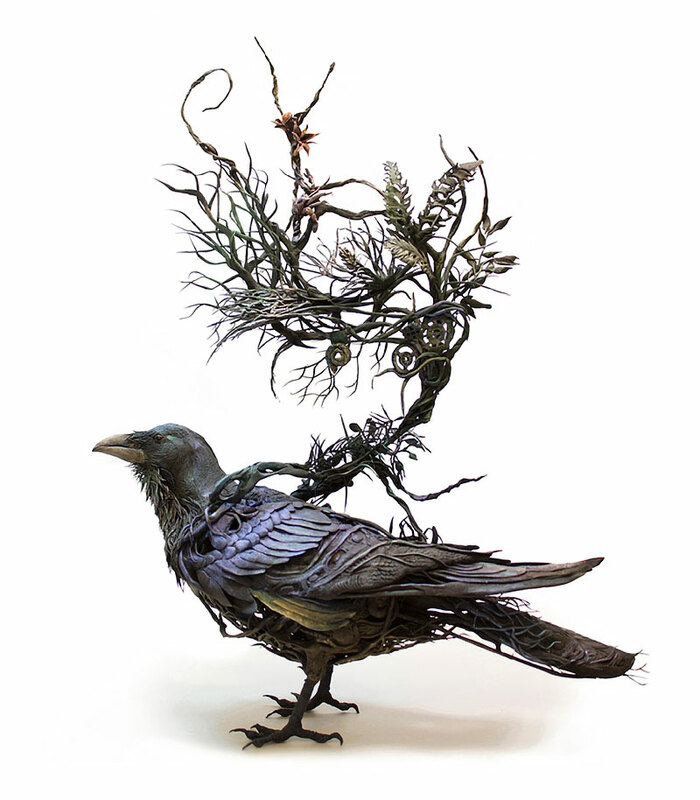 By virtue of this primal process, each creation is completely unique and produced in a fluid and intuitive manner. 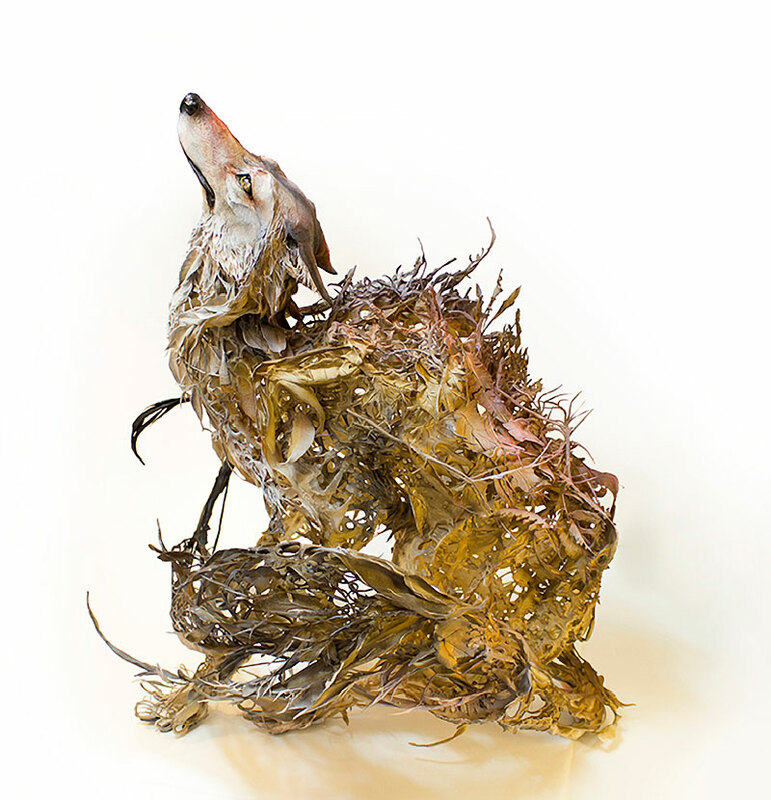 The process begins with a handmade metal armature over which light weight clay is sculpted. The painting is executed with acrylic, mineral and oil pigments and the embedded eyes are glass. When complete the whole piece is glazed to intensify colour and strength. 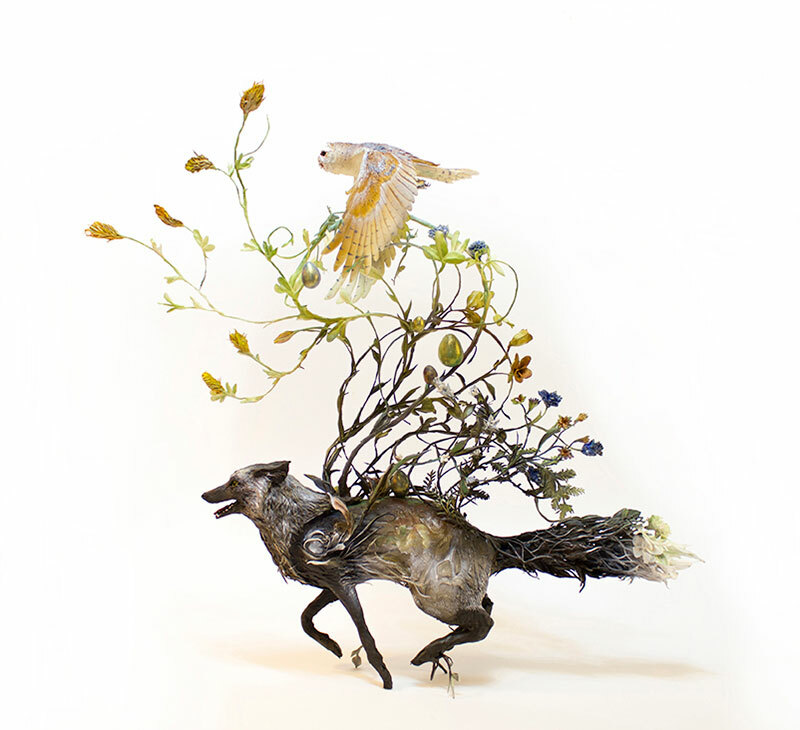 Surreal clay sculptures of animals merging with plants by Canadian artist Ellen Jewett.